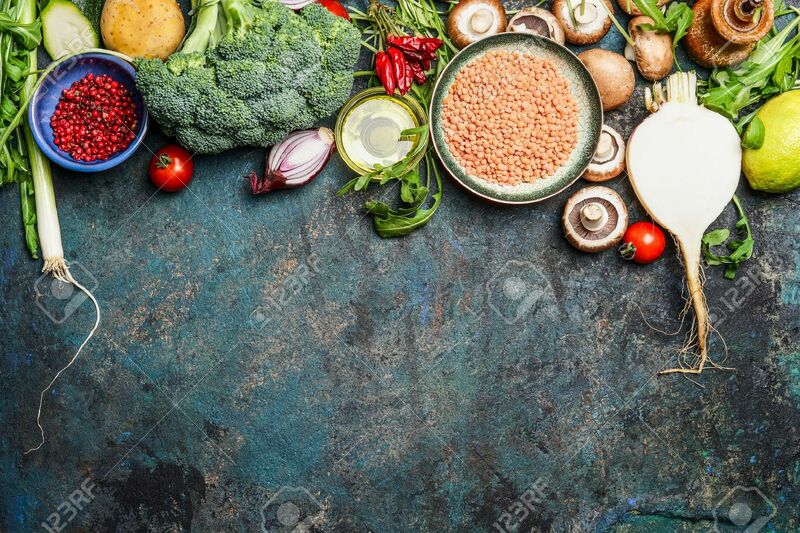 Variety Of Vegetables, Red Lentil And Ingredients For Healthy Cooking On Rustic Background, Top View, Horizontal Border. Vegan Food Or Diet Eating Concept. 免版權照片，圖片，畫像及圖片庫. Image 48677493. 版權商用圖片 - variety of vegetables, red lentil and ingredients for healthy cooking on rustic background, top view, horizontal border. Vegan food or diet eating concept. variety of vegetables, red lentil and ingredients for healthy cooking on rustic background, top view, horizontal border. Vegan food or diet eating concept.